So you want all the brightness of a studio flash without the restrictions of mains power, what do you do? 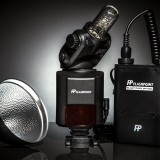 Well you could choose the battery powered Prophoto B1, Elinchrom Quadra’s or buy 4 speedlights and group them together. Either way you’re looking at a pretty heavy hit on the credit card. Step forward the Flashpoint Streaklight 360Ws, a battery powered flash that produces about the same amount of light as 6 top of the range speedlights. For the purposes of clarity I’m reviewing the Streaklight 360Ws from Adorama but you can also find the same unit wearing various other badges. For example here in the UK you’ll find what appears to be the same unit at Lencarta under the name Atom 360. You can also find it’s baby brother the Streaklight 180Ws which is broadly similar but produces a stop less light or about half the brightness. So what’s so special about the Streaklight 360Ws? Well let’s start with the obvious one, its power. At 360 watt seconds of light, it’s up there with the power of mains studio flashes and yet it’s little bigger then your traditional speedlight. Everything was nicely encased in Polystyrene with minimal amounts of assembly required. The flash has a standard hot shoe but this can swapped out (by removing four screws) and replaced with supplied ¼ in thread base, a very handy feature. A 28mm reflector is included as standard and there’s also a clip-on diffuser too. At 890 grams this is no feather weight so you’ll need a decent cold shoe to hold it securely. Switching on the battery pack also starts the 360Ws and the first thing you’ll notice is the big bright LCD display. The controls are well laid out and easy to master even without reading the manual. There’s buttons to switch the focus assist light on/off, activate the recharge ready beep and set the mode for optical slave, preflash ignore and so on. The test button glows when the flash power has recycled and in the centre is a large jog wheel to set the power. The 360Ws is a manual only flash, so you won’t find a TTL options here. However like many photographers that’s exactly how I like my flashes to work and resent paying extra for features I don’t need. Flash output is in 1/3rd stop steps from full power down to 1/128th power. At full power the recycle time was a painful 5.3 seconds. That dropped to 0.8 seconds at ¼ power and was almost instant at 1/16th power taking less the 0.1 seconds. If you plan of using this flash at full power regularly I’d highly recommend the optional power doubler cable which halves the recycle time by making use of two power ports. One of the big selling points of the 360Ws is its bare bulb. I’ve used the flash in a Westcott Apollo softbox and the bare bulb gives a fantastically even illumination. As you can see from the image above you’ll want to use the reflector to get direction if you’re using an umbrella or just the flash on its own. Compared to my Canon 580 EXII speedlight the 360Ws has a slightly warmer light that’s more even across its width. It also seemed a lot brighter but by how much? With a flash meter set at a distance of 100cm from both flashes I measured the light at various powers. I had to look f/51 up but to save you the bother that’s around 2 ½ stops more light then full power on the Canon, or to put it another way it’s the equivalent of 6 Canon 580EXII at full power. Well there has to be some minus points and whilst there not huge they may be very important. Let’s start with the biggest. If you’re coming from studio flashes you’ll instantly miss having a modelling light. By design the 360Ws is more speedlight then studio head and whilst an LED modelling light would be amazing it’s not an option. Another potential problem is the lack of a speedring. Again, speedlight workers won’t be worried about that but studio flash users will need to replace softboxes, grids and beauty dishes with alternative options. I’ve switched to the Westcott Apollo style softboxes with great success. There’s also a decent range of small accessories that will fit straight on as the 360Ws shares the same fitting as the Quantum Qflash. Then there’s the power. No mains cable to trip over or limit your use is great but the battery pack is as big and heavy as the flash itself. My solution is to hang it from the light stand where it acts as a counter balance at the end of my boom pole. If, like me, you can live with the downsides the Streaklight 360Ws is an incredible flash at a very reasonable price. The power that comes out of this tiny unit is just amazing and at full power there’s a very satisfying pop. When I first got my hands on the 360Ws I wasn’t sure how we would get on but within minutes of using the flash my old speedlights looked like toy flashlights and my mains powered studio strobes suddenly felt very dated. In short it’s now my go to lighting tool and there’s no way I’ll be giving this one back! Did I mention the fact that it also has a fast flash duration? Perhaps the best way to conclude my thoughts is to say I liked the Streaklight so much I ordered another one! Good review. I bought the same unit badged with Calumets name. The manufacturer (Godox) make a braket that gives the unit a standard Bowens S-fit bayonet. Their Cells II trigger gives HSS, but only for Canon. We’ve already bought 3 of these at our studio, and are loving them so far. Hi Kevin. Yep, they’re great lights whatever the badge. Got to say my speedlights and studio strobes have been gathering dust the past few weeks! You need HSS triggers specifically made for your Camera brand, you can’t do HSS with the Yongnuo 622 for Canon on your Sony camera. Did you get the HSS to work yet on the 360 Gavin..I can’t find info anywhere? Theo, I just bought 2. I looked up the Yongnuo 622 but only found it for a Canon. Do you know if I can find one compatible with a Nikon D3s? Apparently my FlexTT5s won’t work with HSS. There have now been added the 2,3 gh xtr16 triggers that looks and fits just like the old 433mh ftr16 triggers. These are compatible with the x1t unit. Whether this will work with Olympus I don’t know but hss is possible on this version I of the 360 with a push on appropriate buttons using this xtr16 receiver and the x1 trigger on Sony. 4. Attach the Godox trigger (can’t remember its name) the little unit with the usb-to the flash. the Godox has got a usb port on its side. You’ll be able to control the strength of the flash with the trigger held in your hand as the YN622c TX (this is on the camera remember!) doesn’t have a hotshoe, so you can’t mount the Godox trigger on it. in HSS you can only go down to 1/8 power-not sure why this is. Also the above is the method I use for my Canon 7d Mark 2. This method didn’t work with my 60D. After some internet research I found that the YN622c needed to be attached to the Godox not via its hotshoe but with a PC cable -these are easy enough to buy on e-bay. The only problem: finding a way to secure the YN66C to the ligh stand so it’s not dangling by the PC cord! Hope the above is clear and it helps! Is your Godox 360 a TTL or not? I have the non-TTL version. The TTL is only for Nikon or Canon (I shoot Olympus) and needs a TTL trigger which I like a lot less then the more basic but reliable manual trigger. Looks pretty cool and a way cheaper alternative to the Quadra flashes, that I’ve been considering. Just a quick question; The flash bulb seems very exposed, the way its poking out. Have you had situations where you were close to breaking it by accident? Also: Do you if Flashpoint is going to make a new (strobe) ring light? The old one has been discontinued and all I can find now, is a fluorescent and a LED light. Hi Hans. I did worry about the flash tube at the start but I quickly found that the glass dome that covers the tube is very tough. None the less I keep the reflector on (or the metal snoot) for protection. Glad to hear about the solid build. I’ll have a look at it! Same with the Orbis. Maybe that is the way to go! And also a big thanks for the very inspirational and instructional videos that you produce! Much appreciated! Does it play well with Pocket Wizards? Or other radio triggers like the Youngnuo 622C? If it does work with radio triggers, do the non-TTL on camera Canon flash controls (power & zoom) pass through to the flash? It has a standard hotshoe so anything that fits that will trigger just fine, PW’s and Youngnuo’s included. There’s no TTL facility here, it’s just manual flash so if TTL is something you need this isn’t the flash for you. I can’t get it to do HSS with the FlexTT5. It works fine while at 250 and under but as soon as I bump my D3s to 320, I get nothing. Great review Gavin, I’ve been waiting (very impatiently mind you) for your review on the 360. If I’m feeling pretty brawny and want to use this unit on camera for a shoot without the battery back, is there a decent low battery warning, or will I all of a sudden find my photos to be dark? Glad to hear they have become your Go-to flash> I’ve been looking to get a/some better speed lights, but since I went and became a Sony shooter (Yeah I know I kick myself a lot) its really difficult to find a quality flash unit. Hi Ed. The flash will only work with a battery pack, so there’s no door to pop in a fist full of AA’s. The Flashpoint battery pack I use has LED lights to show charge level and will turn the flash on/off too… very handy when using Apollo style softboxes! You should be fine with this on Sony as long as it’s one with a standard hotshoe or you have an adapter. I do have the adapter to put any flash on my Sony. Really glad to hear you like this flash. Really exciting product. Hi Gavin, defo interested in this for my outdoor sports photography and lighting larger interiors when I’m doing architectural stuff, but where do you get them from in the UK? Looks like you have to order them from Adorama US? Which I’m not keen on for product back up. Hi Paul. Here in the UK you’ll find what appears to be the same unit at Lencarta under the name Atom 360. I hope that helps. I really want to like the Flashpoint 360 that I purchased and have been using for 3 days because of the power and portability of it, it is a great idea for many photographers. It worked great for the first and second day (loved it) , but, the third day (today) it was having sync problems. It would not expose properly at any shutter speed above 1/50 even though my camera’s sync speed was set for 200 and other slower sync speeds that were also tried. The top 1/3 horizontal part of the frame looked as though there was a 10 stop “red” neutral density filter covering the top third of my lens. In the meanwhile, I have to give this flash only 2 stars for its not allowing a speed of 1/200 which is what I like to use with my Nikon D4 and 70-200 f/2.8 lens when doing portraits, otherwise it would be 5 stars. Is this a bad copy I have or am I possibly doing something wrong? Sounds odd Bruce and not something I’ve had an issue with. If part of the photo is missing it does sound like a shutter issue rather then a flash issue but without seeing your set up it’s impossible to say if the problem is related to the flash or to your camera. Ok so it took coming out to the bush and realising ..no HSS well forgot. Now reading the posts and reviews you need a compatible trigger? Not the one that comes with it. Do you know a compatible trigger. I went into. My camera settings 5lll to double check and says does not recognise the flash so the trigger is what I need? Or are they leave in the studio flashes? I sold my quadra and bought 3 of the 360s from Adorama – I love them! The apollo series from westcott works excellent with these flashes: I use the Apollo orb and two Apollo strip lights with grids. Would recommend buying the usb-trigger system too, being able to remotely adjust power on each flash while inside the softbox is very nice. The battery pack lasts “forever”! And you can purchase additional cables to fit your canon or nikon speedlight aswell (and a 5v usb cable to charge your mobile phone etc). Thank you Gavin, you are an amazing photographer and a great inspiration – I wish you a happy new year and all the best! Please give some instruction on setting the various channels on the wireless trigger and receiver. As you know Flashpoint, Godox, Cheetah all the same products. This is much stronger then other versions. Made to hold any bowens softbox so in studio should’nt be an issue using your favorite modifiers. You can’t trigger or control the Godox/Streaklights with those triggers. However you can switch them to optical slave mode and use them with other flashes. is there a chart comparing the flash power to flash duration available for this unit? Not from me but the seller may well be able to assist with that. I have a Canon 40D. Will the FlashPoint triggers allow me to adjust the flashes power remotely ? Do u know which triggers I can purchase that will allow HSS and adjust flash remotely ? If you get the optional radio trigger you can remote adjust the power with any camera as it’s done with buttons on the trigger. I’ve not tried HSS so can’t help there. 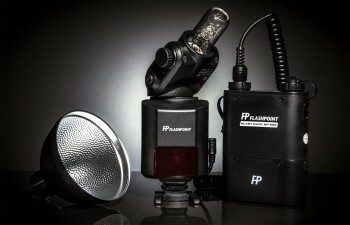 I have used this as the main flash for my portable lighting kit i bring on location for clients. I bought two of these and they are just as good as the Elinchrom D-Lite RX 4 set i sold because of weight and portability. Hi. OK here is the problem!! As far as I understand, Godox makes the flashes and they’re re-branded to Fleashpoint, Lencata, Neewer and so on. I did have a chat with a Interfit rep about their version and he was insistent that they’re battery was “upgraded” from the others but he couldn’t elaborate on how or why. I use the Oddin radio trigers does anyone know if these lights will work in HHS while using the Oddin triggers that have the HHS feature built into them? Hey Gavin (or anyone else), Have you found a way to harness the HSS with the OMD? I’m tempted to try a yn-622, but don’t want to shell out the cash if it’s a lost cause. Thanks! would you recommend 360Ws or 180Ws version to start with? I have often read that a less powerfull flash is more suitable for a beginner in a homestudiosetting. I only used normal speedlight (yongnuo) so far but i want get more experienced in shooting outdoor/ at a homestudio. If you streach to it the Godox (streaklight) 360Ws is the way to go. Looks like the Streaklight 360 has been reduced because a TTL version is coming out soon. There are now PRE-ORDER pages for Nikon and Canon TTL versions of this unit. I take it these are the Godox AD360IIs. Have you been able to get a copy and are you going to review them/use them in upcoming YouTube Videos for Adorama? The Flashpoint Streaklight 360ws WITH Blast Power Pack is now on sale for $319 now. It includes the umbrella reflector, remote trigger, power pack and the 360ws strobe! Just ordered the 360 kit from Adorama. Can I use this on camera for weddings and events? They look similar to Quantum for a fraction of the price. Yes you can use the 360 on camera, just make sure you have the hotshoe base on and not the other one that ships with flash. The flash is manual only, so no TTL. It’s not a problem for me but I know many photographers who need TTL at weddings. It’s similar to the Quantum and I’m told it fits the same accessories. Love this little light..however I still can’t get hss. I have the yn622c triggers and pc cords but I must not be standing correctly. I’m using the a6000…guess I’ll just love it as is. I just recently purchased a Flashpoint 360 (non TTL) at Adorama and my objective is to use the flash in off camera and shoot HSS, The question is – Which transmitter should I use to shoot HSS? Would a Flashpoint 360 (non TTL) capable of shooting HSS or should i buy a TTL instead? I am planning to use a couple more speed lights for rim lights. which speed lights should i purchase? Im using a Canon 5D mark 3 and i have 1 Canon 600 EX – RT. The NIKON TTL specific Flashpoint Streaklight is appx $200.00 more. Is it worth the investment to get it or can the same lighting be achieved without the TTL and just adding the HSS transceiver? If you need TTL then it’s worth going for the TTL version. I don’t need TTL and have never found it’s slightly random nature to my taste but that’s just me. is this kind of flash compatible with Rapid Box 26 ” ? It should be. It certainly works fine with the Westcott RapidBox Duo. I would like to buy a big softbox 80x120cm for AD360. The softbox is not an umbrella softbox, but regular Bowens S mount softbox with two diffusers. I’m going to use Godox Bowens S-Type mount to attach AD360 to a softbox. Do you think AD360 will be able to light it fully? I’ve got the Godox Cell 2s then the FT-16 to remote control the light (off shoe by hand) coupled with the USB receivers, works great! Looking at purchasing Streaklight 360. I have a Nikon system and currently use PW Flex and Mini’s with the AC3 to control multiple SB-800’s. Was wondering if you know if the 360 will work with this system? Would like to be able to control 360 along with a mix of speed lights using the AC3 with all PW features, HSS, Manual and TTL. If yes, would I just need to get the manual 360 or the Nikon TTL 360? Sorry for all the questions but I’ve researched the web to death to no avail so I decided to ask the Man. Thanks for all you do! Been following you for years! Purchased the 180 as a testflash to see how it performed. Well great. More than 800 flashes and the powerpack still wasn’t empty. Just for the almost endless record. I bought mine in Belgium and the brand mostly on the continent is or Godox, or (in Germany) Walimex. And yes it is all the same just like the Cheetah or Flashpoint in the US or the U.K. The Walimex is called “LIghtshooter 180 or 360”. I use it as the main light together with several other flashes from (Walimex,Godox,Nikon and Canon flashes) The triggers i use are from Kaiser Multi-trig 5.1. 6 Flashes all together for lightpainting. For the people in and around the Keswick fells, it is not the lightning, it is the “180” triggering off. Great stuff! I finally got a bracket to hold my Elinchrom Octobox 39″ with the Streaklight 360ws. Because of weight and portability, i sold my two Elinchrom D-Lite RX4s and replaced them with two Flashpoint Streaklight 360ws. Now i can go on location without having to lug around a studio size flash. It works perfectly and i carry it with me on location. Many thanks for your videos – they are really helpful – though I have a very tiny room but I recently bought these lights and starting to Mimic your videos. Pictures will not come out as your’s 🙂 but will learn a lot in the process. Are these good for event photography? I wouldn’t mind more power than my speedlight but I never see any pros using them at say an awards show for example. Hi Gavin – Just went through your series on Home Studio Parts 1-10 for adorama, great refresher and tips material. I was wondering if you had any thoughts for the above referenced question from Rollo June 5, 2016 at 11:30 pm? I am in a similar boat, and well, if obtaining the Nikon (TTL) versions of these flashes, I am assuming what works on a hotshoe for a nikon flash is what will work with this flash – including HSS which I don’t really need, but like to play with. Also, I hate TTL – so unpredictable unless you like exposure surfing. Has anyone found a good carrying case for this large speedlight? Why does my 360 only let me change the power to 1/8 and nothing pass that in HSS? In HSS mode the flash produces pulses of light rather the a single flash and that means it needs to recycle VERY quickly. 1/8th power is probably the highest power possible and keep the recycle time fast enough. First, I want to say that I’ve loved watching your videos, and have learned a lot about going being gear and actually being creative. I’m curious how you’re storing these, as they’re quite large, and take up more space than most speedlights. Thanks! I just bought the Godox version of this flash, and it really is excellent. The power is amazing, before this I only had the v850 speedlight, which I thought was powerful. Anyway, I managed to get HSS working with my OMD EM1, which is really nice.